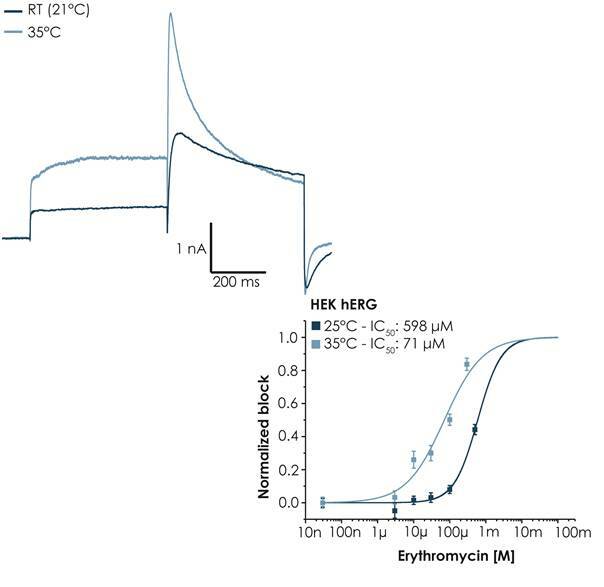 Using a stacked solutions approach and a fast pipetting speed shortens the solution exchange rate and minimizes the ligand exposure time. 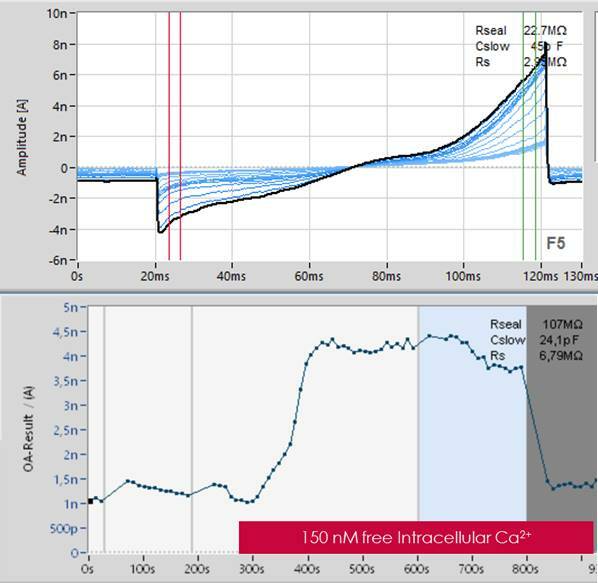 This procedure allows for reproducible recordings of fast desensitizing ligand-gated receptors such as glutamate receptors. 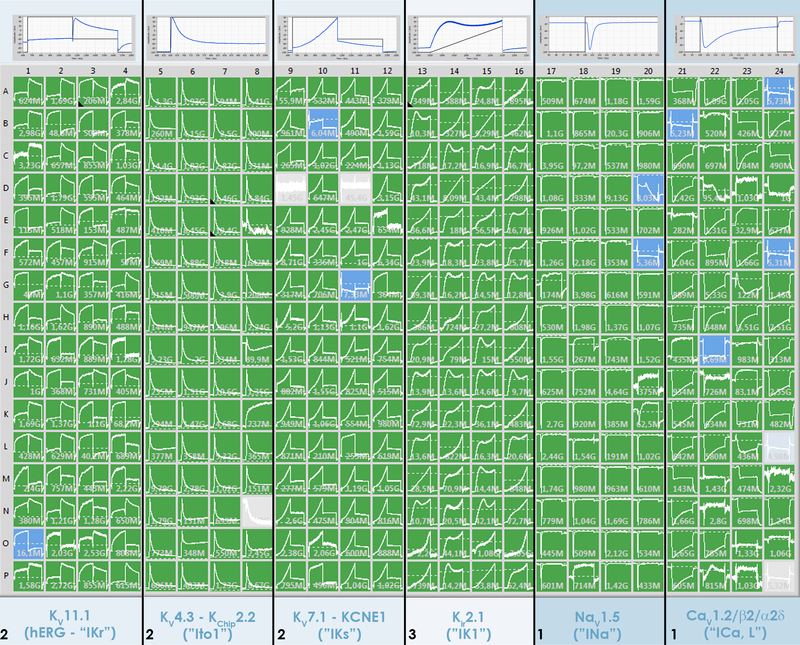 Here, repetitive activation of GluA2 receptors is shown. 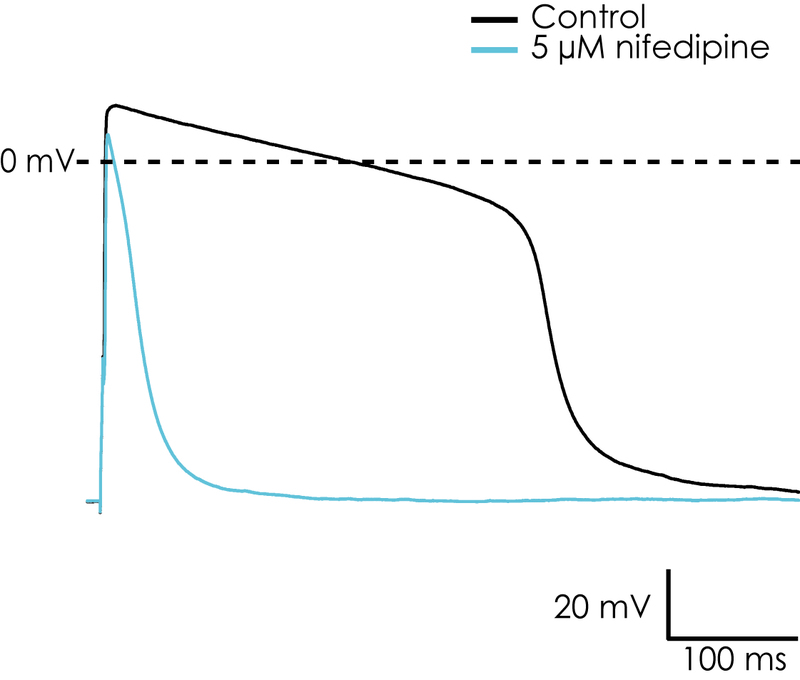 Receptors were activated with 100 µM Na-Glutamate for 3 times resulting in inward currents of similar peak amplitudes (A and B). The current onset time was approximately 10 ms (D). 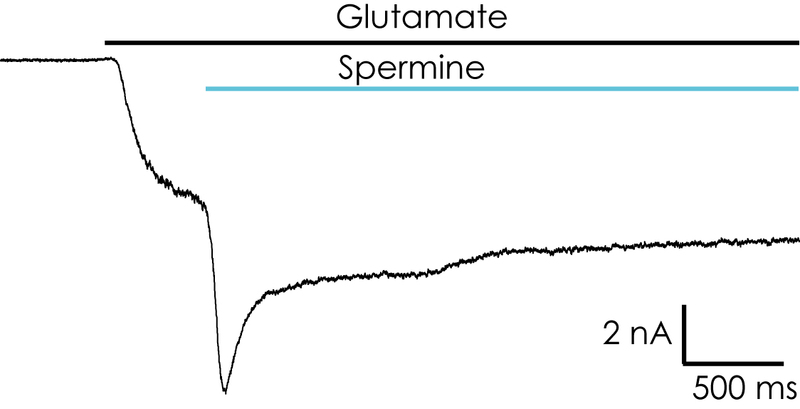 Panel C displays an example of a cumulative concentration response curve for Na-Glutamate (in mM: 0.1, 0.3 and 1).